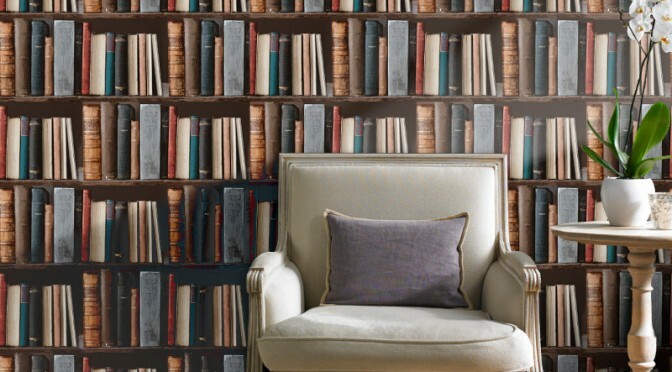 The Grandeco Library Book Shelf Wallpaper has been specially designed to allow you to create your very own sophisticated library look in your home. This eye-catching wallpaper features a series of shelves covered in traditional styled books and will make a welcome addition to any home. The Grandeco Library Book Shelf Wallpaper comes in a timeless, subtle colour scheme and is perfect for use throughout a room or as a feature wall. Complete the look with comfy lounge chairs to create an inviting space.